ADAPTIX is recognized as one of the original developers of OFDMA-based system and has a portfolio of 230 issued and pending patents in 13 countries. The majority of its patents are relative to a wide range of 4G technologies. It is worth noting, however, that Acacia Research Corporation acquired ADAPTIX in January of 2012. Acacia Research Corporation is known for acquiring patent portfolios and aggressively pursuing litigation, otherwise known as patent trolling. It is too early to call this as a troll. We will wait and see. I guess its time apple tastes it own medicine! 4G patents ??? F***ing stupid... A lot of Companies use the method as Apple. If they have a patent for the way 4g is running on ipad then why arent there patents for wi-fi a/b/g/n routers? and other wireless bs. Next thing we'll find out there's a patent for the way a came zooms in n out. wtf. Not as stupid as "slide to unlock". Which they didn't even freaking invent. 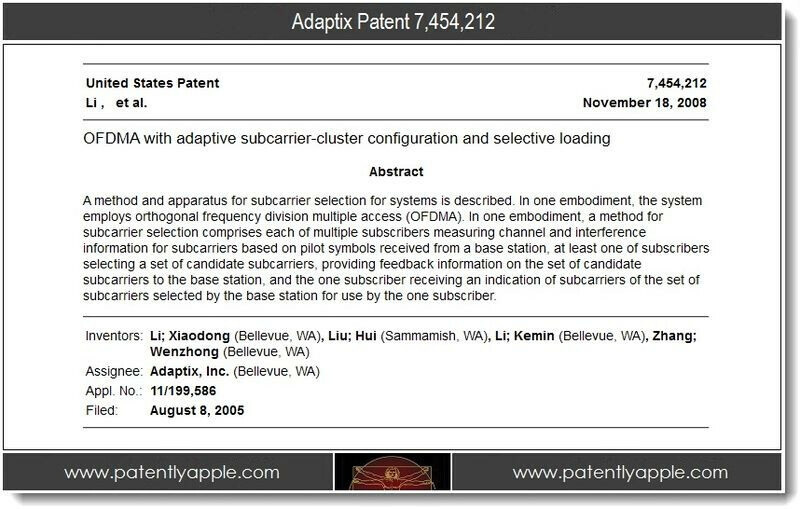 Apple started this whole patent trolling nonsense, I have no sympathy for them when they are getting sued for patents. Just like when bullies get bullied, you just sit back and enjoy the karma. You're right, but i have no sympathy for Apple either. I was referring to the 4g patents in general. It is stupid to have patents on any wireless networks... Imagine that. Everybody else asks for permission and pays royalties but Apple thinks it can do what it wants! "Do unto others as you would have others do unto you." [Matthew 7:12] Nuff said... Apple deserve every bit of patent intervention because if the roles were reversed, Apple would be going at ADAPTIX like Chuck Norris in a kungfu movie..
Wow dude really, your going to quote the bible? I agree. I'm an apple guy but hey they asked for it. Patent Troll mean according to wikipedia - A person or company who buys and enforces patents against one or more alleged infringers in a manner considered by the target or observers as unduly aggressive or opportunistic, often with no intention to further develop, manufacture or market the patented invention. I do not think Apple will fall in this category. When you patent a rectangle and use it to try to ban products, you're a patent troll. End of discussion. very true. Apple is a huge patent troll when it comes to any space they compete in. They buy companies for patents and they use them to try to push out everyone in their space if they are actually violating a patent or not. Lawyers are expensive. Apple thinks they can win by using their massive bankrolls to keep competitors in litigation until they are too poor to continue to fight and back down. However, even though this move is against apple, it still stinks of pure trolling, which i dont like on a general basis. So as to not be a hippocrit, I dont want Apple patent trolled either. I totally agree with you, just because its happening to apple now instead of them being the aggressor still doesn't make it right. This stuff is getting out of hand, there needs to be regulations on companies using patents this way. And also the way things are patented needs to be changed as well, no more broad patents that can be interpreted any way a company wants to. ok, not patent troll.. but patent bully.. like it better now? I'm kinda afraid to do business in the tech industry going forward. Why would you be afraid to do business in the tech industry? The tech industry is characterized by value creation that in large part is based on ideas. Patents are the best way to protect the ideas from being stolen by competitors (even as flawed as they presently are). 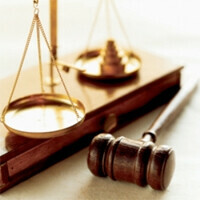 Litigation is a cost of doing business. Apple has been able to leverage its pile of cash to intimidate competitors, but things haven't gone Apple's way all of the time. I suspect that in a few years, the patent litigation that Apple has stirred up will be sorted out and it will be time to focus on innovation. i just hope that your last sentence would be in a few months and not years.. can't stand this ridiculous patent lawsuits to keep going on.. Sauce for the goose (Apple pursuing patent infringement litigation) is sauce for the gander (everyone else suing Apple for patent infringement). Apple - you reap what you sow. Apple has some friendly patent trolls doing some of its bidding. Acacia is just returning the favor. Movies are copyrighted not patented. lol. you would think after seeing the FBI anti-piracy copyright infringement notice at the begining of every movie more people would understand this.